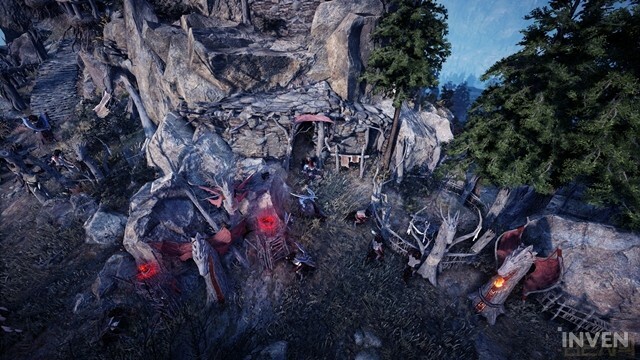 Three new grind spots in Drieghan have been added in Black Desert Online KR along with the new region and many more additions. 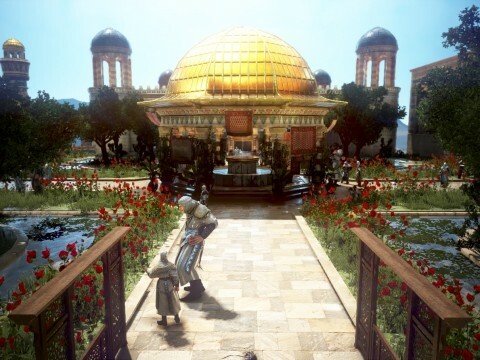 The new grind spots are Tshira Ruins, Red Wolf Town, and Sherekhan’s Grave, in increasing order of difficulty. Each grind spot has unique traits, and the playerbase opinions are different for each grind spot. In general, the new grind spots are not good for stable income, since there are no drops like Scroll Written in Ancient Language. However, the yellow accessories from Tshira Ruins and Sherekhan’s Grave can earn you a lot of money. The new blue accessory that is dropped in Red Wolf Town is not as expensive as the yellow accessories, and other drops from the area are not worth your time. The date which Drieghan will be updated in NA/EU is unknown at the moment. 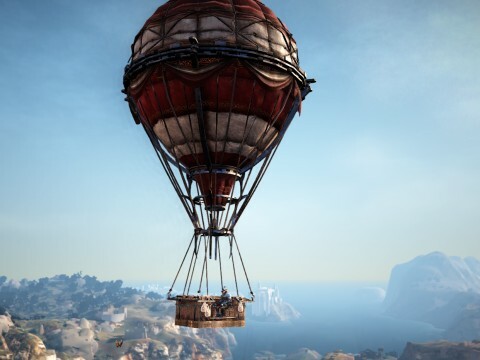 Below are KR players’ comments on the new grind spots so you can get a general idea of the spots before they arrive in NA/EU. 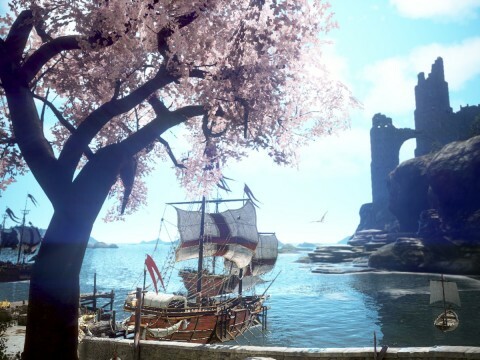 Tshira Ruins is located at the northeast of Duvencrune, and at the south of the Serendia Shrine. 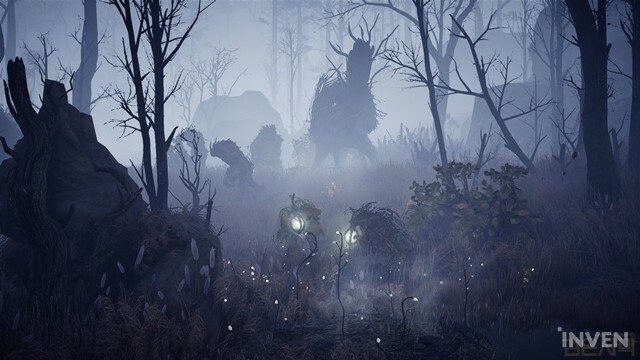 The area looks like a dark, foggy swamp, and there are monsters like vines and swamp imps. Among the three grind spots in Drieghan, Tshira Ruins is the grind spot that requires the lowest AP. The monsters are generally weak, and there are no monsters that can one-shot you. However, grinding is at its best efficiency when your AP is over 200, even though the recommended AP is 150 or over. One of the major drops in Tshira Ruins is the “Pupil of the Ruin Ring”. The price is about 70 million silver, and the ring is an upgraded version of Ring of Crescent Guardian. 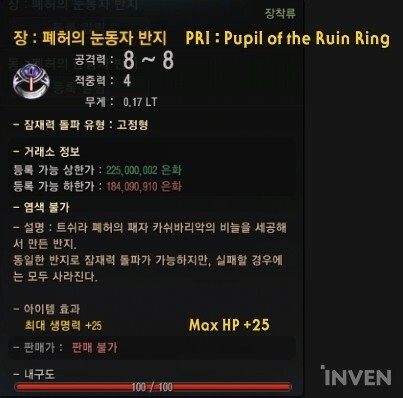 Pupil of the Ruin Ring has the same AP and Accuracy as Ring of Crescent Guardian, but will increase max HP starting from PRI. Another major drop in Tshira Ruins is Set Crystal - Gervish. The Gervish Crystal gives Critical hit, Movement speed, and Max weight buffs with 2 pieces and combat/skill exp with 4 pieces. The minimum price of a Set Crystal - Gervish is about 13,000,000 silver. Other drops are the Ahkum Armor Set, which is a new blue armor set, Black Stones, and Remains of Black Energy. There are two types of trash loot items, which cost 1,160 silver and 410 silver each. The trash loot items weigh 0.4 LT each. 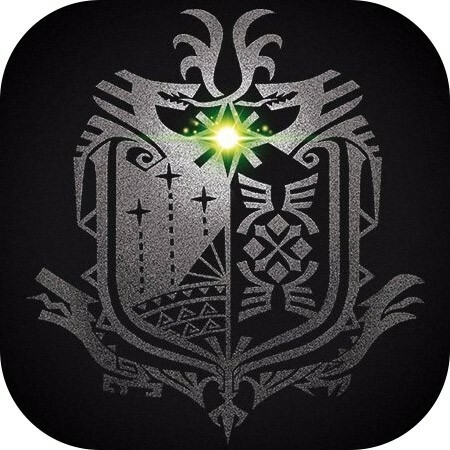 ▲ Pupil of the Ruin Ring is the same as Ring of Crescent Guardian, but will also give max HP. Although not everyone loves the Tshira Ruins, a majority of players are satisfied with the spot. The monster density is high, and the monsters have low DP. Also, players can earn a good amount of money with the yellow accessory and the new set crystal. Even though there are no items like Scroll Written in Ancient Language and the Ahkum Armor set is not that expensive, a lot of players are going to the Tshira Ruins, so it is not easy to find a good spot in the area. ▷ The monsters here are weaker than the monsters at Crescent Shrine, but the ring dropped here is 20 million more expensive than Ring of Crescent Guardian! ▷ So profitable. The yellow ring drops from regular monsters, and you can even get the new set crystals. ▷ You can also get the new blue armor (the Ahkum Armor set), and a new item called Garmoth’s Scale, which costs 1 million silver each. I got 4 Garmoth’s Scales in an hour, with the item drop scroll. ▷ I’m afraid they might nerf this area. They might make the monsters harder to kill and reduce the item drop rates. ▷ The monsters are easy to kill and there are a lot of them. If your AP is over 200, then the items per hour is determined by your pets’ tier, not by your AP. ▷ The Tshira Ruins is better than the grind spots in Valencia. Farming Pupil of the Ruin Ring and Set Crystal Gervish is so much better than farming Ring of Crescent Guardian while drinking purified water every minute. 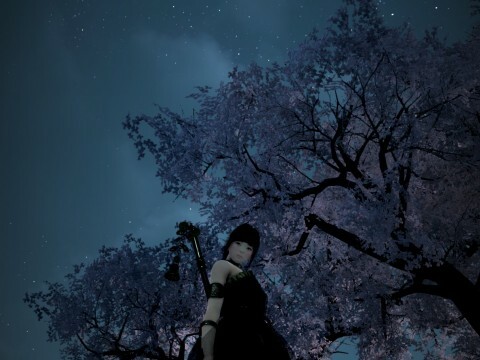 ▷ If you want to craft a Dragon Slayer weapon, farm in this spot. ▷ I don’t know if this area is particularly good for money. The drop rates of the ring and the crystal are not really high, and there are too many people. Try grinding in the area when there are less people. ▷ The drop rate of the yellow ring is lower than the drop rate for Ring of Crescent Guardian. It’s all about RNG. 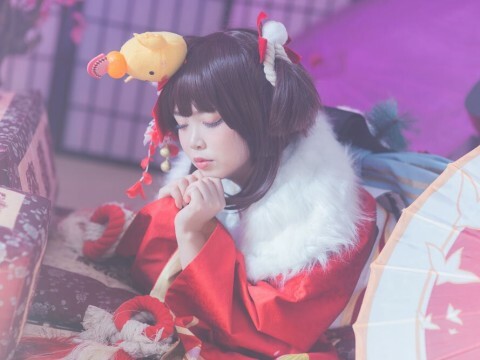 ▷ If you want more stable income, then Crescent Shrine is better. Red Wolf Town is located at the east of Duvencrune. There are monsters that look like red wolves, and a monster called the Gaktum which looks like a werewolf. An Elite monster called “Mad Gaktum” will also appear. Although the recommended AP is 180 according to the world map, 21o+ AP is required for efficient grinding. Major drop items are Ring of Gaktum’s Obedience, Set Magic Crystal - Gervish, and Gaktunak. 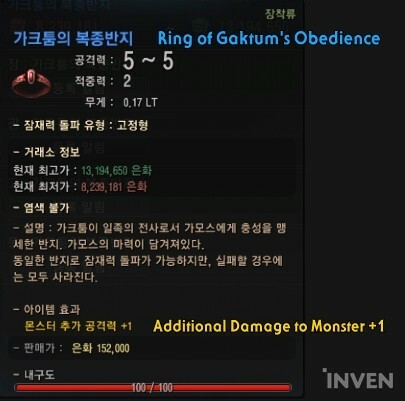 Ring of Gaktum’s Obedience is a blue ring that costs 9 million silver. It has the same stats as Mark of the Shadow, but also has additional damage to monsters. Gaktunak is a material for a newly added crystal, the Dark Red Fang Crystal - Armor/Valor. The Dark Red Fang Crystals can be crafted by mixing Gaktunak and Black Magic Crystal - Armor/Valor together. 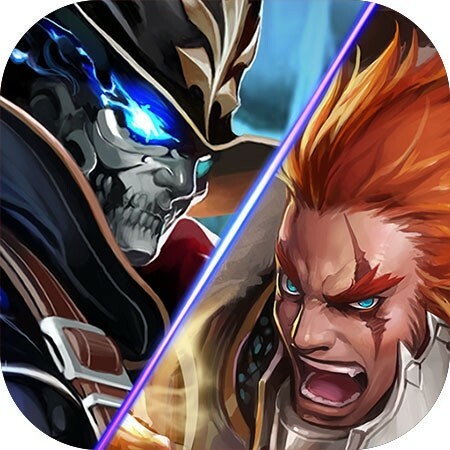 The Dark Red Fang Crystal - Valor has Critical hit chance +2 point and AP +5, and the Dark Red Fang Crystal - Armor has Damage Reduction +7 and All Resistance +2%. Only a small number have been sold at the marketplace, and the marketplace price for the crystals is 4.5 million to 5.6 million silver. Gaktunak cannot be sold at the marketplace, but can be sold to NPC vendors at 1 million silver. Other drops are the Ahkum Armor set, Black Stones, and Remains of Black Energy. 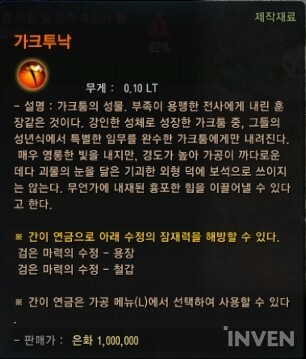 The trash loot items cost 1430 silver, 830 silver, and 760 silver each, and weigh 0.4 LT.
A lot of players say that the Red Wolf Town feels like an upgraded version of Wandering Rogue Den. However, there are not a lot of monsters and the monsters are not grouped together. Also, the elite monster “Mad Gaktum” makes the overall grinding speed slow. Ring of Gaktum’s Obedience is not easy to get, and there are no items like Scroll Written in Ancient Language. Also, there are three types of trash loot where each one weighs 0.4 LT, making inventory/weight management harder. ▷ Feels like a harder version of Wandering Rogue Den that drops a new blue ring. But there aren’t many monsters and the monsters are a bit far away from each other. ▷ The monsters are not easy to kill. Feels like Shultz before the nerf. ▷ I can’t say it’s the best grind spot. The elite monsters make the grinding less efficient. 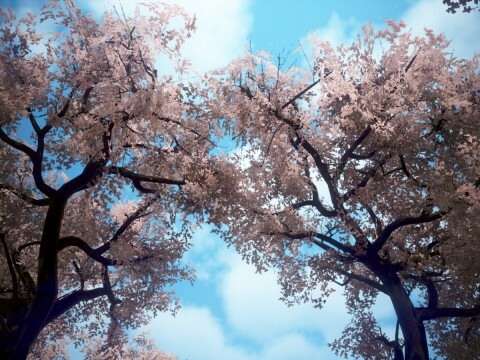 ▷ Ring of Gaktum’s Obedience is nice, but other than that the area is not very appealing to me. Just buy the ring at the marketplace. ▷ The overall income is decreasing because the prices of the Ahkum Armor set pieces are dropping. ▷ If you don’t use the item drop scroll, you make less than 10 million silver per hour. Also, there are three types of trash loot that weighs 0.4 LT each. ▷ Just like other grind spots in Drieghan, no Memory Fragments, not a significant amount of exp, and no Dream Horse materials. There’s no advantage grinding here. Sherekhan’s Grave is located at the west of Duvencrune. 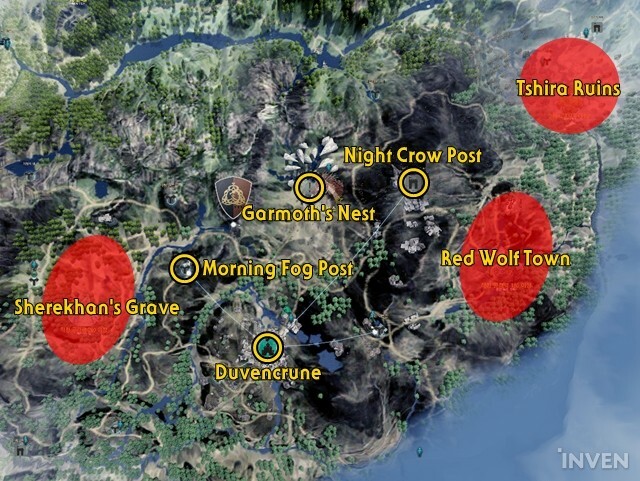 It is the hardest grind spot in Drieghan which requires at least 200 AP according to the world map. However, you actually need 230 or 240 AP in order to grind in the area. You also need at least 280 DP so you do not die to the monsters. 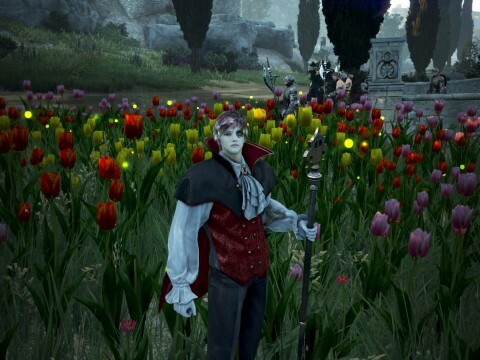 Sherekhan’s Grave is the first area in BDO where different type of monsters appear during the night and day. 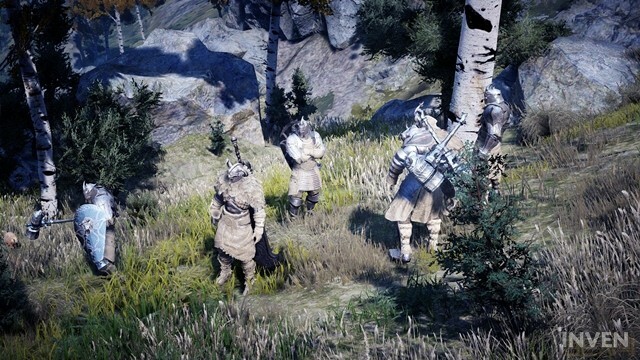 During the days, monsters that look like playable characters appear as groups. The monsters look like a Berserker with an axe on each hand, a Warrior with a greatsword, or like a Striker. When the time passes 10 p.m., all monsters disappear and a bunch of graves with the monsters’ names on them appear. Players can interact with these graves, and summon a monster by spending 10 Energy. The type of the summoned monster is different according to the name written on the grave. An upgraded version of the monster that appear during the days will be summoned, with the title “Guardian Spirit” in front of its name. You will have to fight the monster 1vs1. The battle will be extremely hard, as the monster might one-shot you even when your DP about 280. The monsters move like a player and use a lot of CC skills, making the battle feel like PvP. But their patterns are rather simple, so if you use Super Armor well you will be able to kill them. 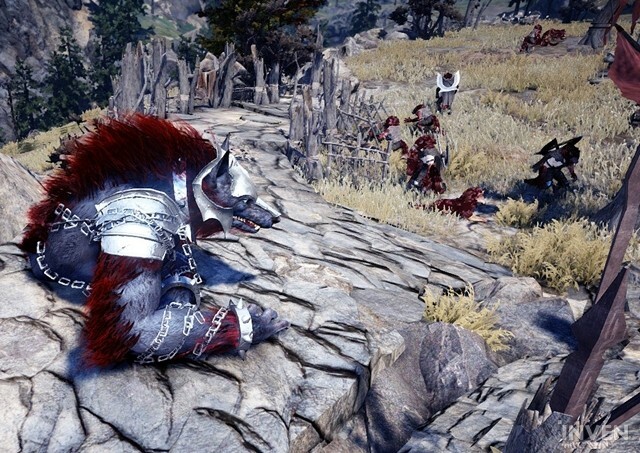 You can use Marni’s Stones for all three grind spots in Drieghan. 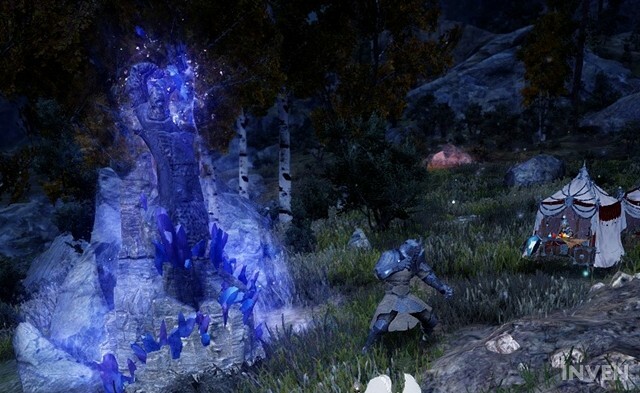 There are two types of Marni’s Stone for Sherekhan’s Graves (Night and Day), and you only have to kill 15 monsters to fill Marni’s Stone (Sherekhan’s Grave - Night). For other Marni’s Stones, you have to kill 500 monsters. A complete Marni’s Stone (Sherekhan’s Grave - Night) will give 0.028% exp, and a complete Marni’s Stone (Sherekhan’s Grave - Day) will give about 0.078% exp to a level 61 character. According to a level 61 player, he grinded at Sherekhan’s Grave during the day with a total of 540% exp buff (exp boost hours 200% + daily exp buff 200% + Book of Combat 50% + Value Package 30% + Pearl Outfit + 10% + EXP Crystals 20% + EXP Elixir 20%) and got 0.28% exp per hour. One of the major drops in Sherekhan’s Grave is Orkinrad’s Belt, which is a new yellow belt. Orkinrad’s Belt has the same max HP and weight limit as Valtarra Eclipsed Belt, but will gain additional AP and DP when enhanced. Orkinrad’s Belt is about 87,000,000 silver in the marketplace. You can also get the pieces of Orkinrad Belt, Orkinrad Piece - Metal Attachment and Orkinrad Piece - Leather Knot, and then combine them to make Orkinrad’s Belt. Another major drop is Set Magic Crystal - Makalod and Set Magic Crystal - Hum. 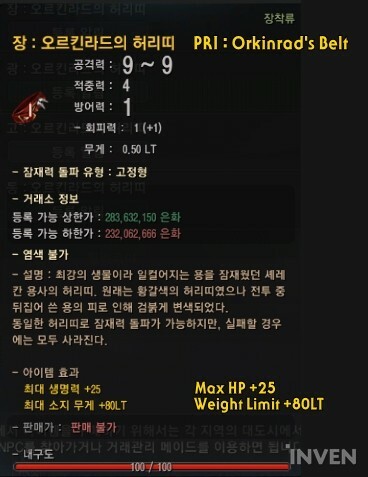 Set Crystal - Makalod gives all AP, max Stamina, and all Accuracy when 2 pieces are equipped. When four pieces are equipped, the crystals give combat exp and all Resistance on top of the 2-piece set bonuses. Set Crystal - Hum gives all Damage Reduction, max HP, and all Evasion with 2 pieces. The 4-piece set bonuses are all Accuracy and all Resistance on top of the 2-piece set bonuses. Set Crystal - Makalod and Hum are a little bit more expensive than Set Crystal - Gervish. Other drops are Ahkum Armor set, Black Stones, and Remains of Black Energy. The drop rate for Remains of Black Energy is slightly higher in Sherekhan’s Grave. The trash loot costs 2650 silver, and weighs 0.4 LT each. Sherekhan’s Grave during nights is more preferred, because you do not have to run around looking for a group of monsters. Also, the summoned monsters drop expensive items more often. Like the other two grind spots, there are no drops that can provide stable income. Unless you get the set crystals or the new belt/pieces of the new belt, you cannot make much money in the area. ▷ I’ve heard that the area is an upgraded version of Pila Ku. Even though I get more trash loot at Sherekhan’s Grave, I can’t make much money unless I get Orkinrad’s Belt or Set Crystals. ▷ I didn’t get any set crystals during the day but got both Makalod and Hum crystal during the night. ▷ Not very efficient during the day. ▷ Night Sherekhan’s Grave is better, because you don’t have to move around. Also, it feels like PvP and that’s actually fun. ▷ If you have enough AP, it’s better in the night. If you get at least 1 set crystal in 40 minutes, you make 30 million silver (including trash loot) in 40 minutes. ▷ You need 10 Energy to summon one monster, and I’m not sure if the income is worth the effort. ▷ If you don’t get any belt or crystals, you make about 20 million silver per hour (Trash loot + other sellable items). If you are lucky you will make much more money, but the lack of Scroll Written in Ancient Language makes the area less appealing. So all the new place are bad. 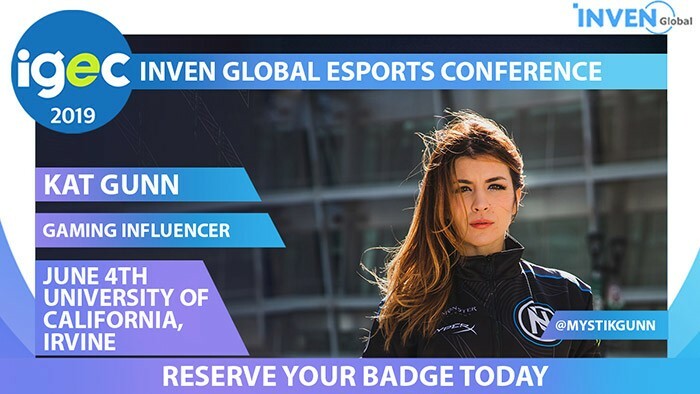 All these spots look low money and low XP. Like always old spots will be the best spots. The only spot that was added in the past year that was good is temple. what's the reaction regarding Mystic nerf? Do they want us to lifeskill or something, cmon give us some new good grind spot!